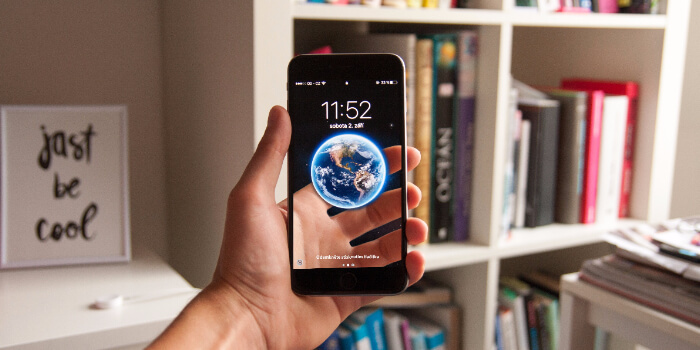 Smartphones occupy a special place in today's world as they come with a variety of regular and advanced features to make the user's life easy. These devices also come with security flaws leading to identity compromise in many cases. Smartphones security and privacy should be taken seriously as the applications installed on the device. Insecure pass-codes and massive bugs can leak the private data to the public via public Wi-Fi networks. There are few popular smartphone apps that can protect the privacy of your smartphone from hackers with end-to-end encryption. The popular apps for your smartphone boost the security of your device by providing best data protection. If you are concerned about the privacy of your data on the smartphone then here are the 4 smartphone apps that protect your phone identity the best way. These days all apps and internet accounts including email and messengers come with passwords for enhanced security and remembering and updating the passwords from time to time is a tedious and time-consuming task. A password manager program can carry out the task of password management efficiently for your smartphone and Dashlane app for sure does a fantastic job. The program handles all the basic task with flair irrespective of the platform it is installed. May it be an iPhone or Android mobile if you are looking for a high-end app that secures private data such as pins, passwords and notes then Keeply is the one for your smart phone. The fake pin feature of the app provides an alternate password which can be given by you to your friends and family, so when they access the app, there is no data displayed at all. The neat and intuitive interface of the Keeply app provides high-grade security for your private data including passwords, notes, PIN’s and photos. The safety policy of the app ensures that the data in your smart phone is stored only on the device and not in the cloud. However, the back-up of the data on a chosen computer is possible. The offline mode of the app does not need any of your personal details to work such as contact list and location. Keeply comes with added attractive features such as intruder photo which takes a picture of any person trying to get access to the app without your consent, fake pin which shows that the app is empty and the face down lock. Signal app is a great messaging solution for mobile users that are highly conscious of privacy and security. The app uses end-to-end encryption and is a free and secured messaging and voice call solution for smartphone users. You can make voice calls, send text messages, photos, group messages, media and other attachments to your contacts without worrying about special login credentials, PIN codes, and passwords. The app is user-friendly, open-source and the encryption is regularly audited to enhance the security levels making it one of the favorite apps for security-conscious mobile users. Wickr is one more popular end-to-end encrypted messaging app that allows the mobile users to send their wickr contacts private messages, texts, video, pictures and voice as attachments. The app uses strong encryption to keep the private data of the mobile user secured and deletes the metadata such as message time and geo-tags. The users are allowed to configure the time for messages to self-destruct. The app features secure shredder which erases the messages, attachments, and data over a time to prevent recovery. May it be hiding of location in another country or connecting to a public Wi-Fi network to prevent exposure of sensitive data to the hackers or to prevent being snooped on in general, the internet world is filled with threats to your privacy and security. Although the broadband internet providers are prevented from selling your browsing history to the companies without your consent, the security and privacy threats are not entirely ruled out. A virtual private network (VPN) service can make sure that all your internet communications are encrypted and protected from hackers and other prying eyes. The VPN service enables you to connect to servers in different countries. The VPN software on a smartphone protects the data on the device with encryption giving the mobile user peace of mind. However, not all the VPN apps offer equal security and privacy for smartphone and hence it is important to find the best VPN that can offer the best protection to the data on your device.